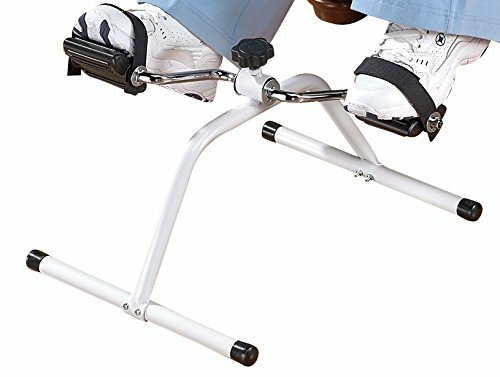 Sit in your favorite chair and pedal away inches This pedal cycle exercise bike provides the same beneficial form of exercise, without the strain of uphill and downhill motions. Our portable exercise bike firms calf and thigh muscles, trims tummy and strengthens back. It helps improve circulation, too Tubular steel is 11" high. Adjusts easily for stronger pedaling. Easy assembly.